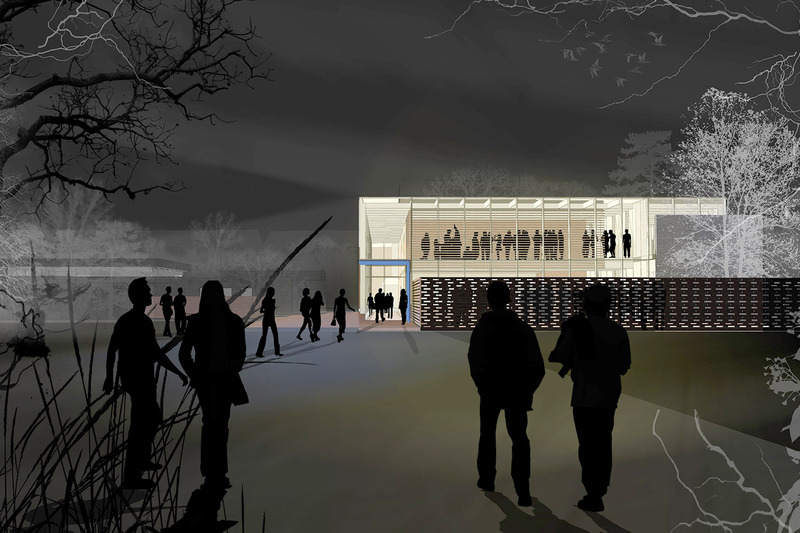 The scheme offers transparency towards a potentially revitalised civic space. This formed part of a submission for an invited competition. 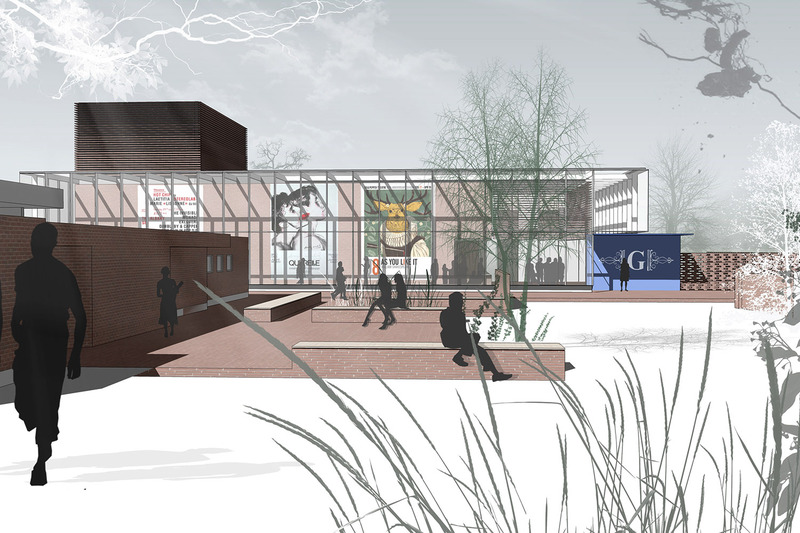 The scheme offers transparency towards a potentially revitalised civic space between the Library and new Arts Centre. This unites two public cultural entities for Ringwood and turns an area given to servicing and inefficient car parking into a pedestrian priority area where the activities and achievements of the new Centre can be showcased to the public. 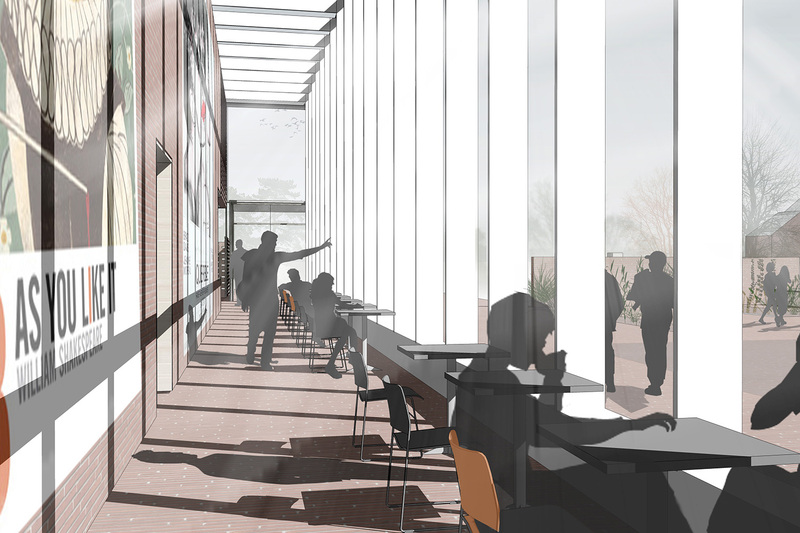 The space can be seen as a level, accessible plaza which could host community events and markets as well as providing a more welcoming location for the Mobile Library. Conceptually, the indigenous red brick of Ringwood (with particular reference to the Georgian splendour of Greyfriars) is moulded from a ground plane into the theatre ‘crucible’ itself. 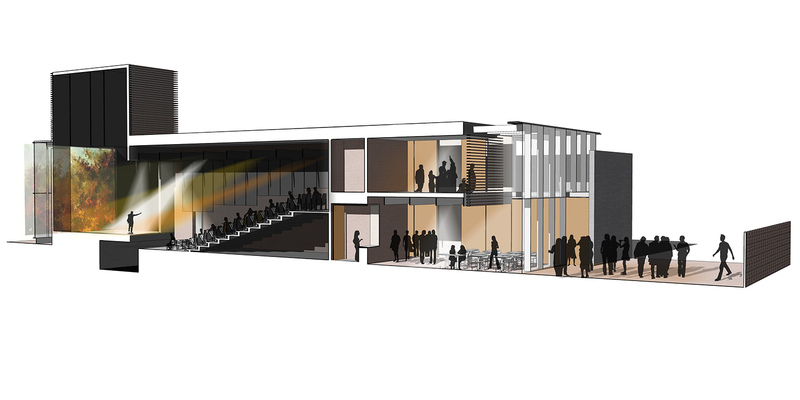 A support wing acts as an activity and sound buffer to the neighbours, whilst a semi-transparent skin envelopes the theatre to allow total flexibility and free movement internally.